I’ve not posted here at Metta Refuge for quite a while, which I something I plan to remedy, and I thought I would begin by sharing an excerpt of a wonderful talk from my heart teacher, Thich Nhat Hanh. It’s called “Healing Through Resting,” though it could just as well be called “Healing Through Resting in the Breath,” for it give some wonderful, simple instructions on how to rest and find healing in one’s own breath. How well I remember the first time, many years ago now, when I learned this simple “resting with the breath” practice on my long retreat with beloved Thay and his monks. He had us, and the children at the retreat, use pebbles, which we held in our hands and chose, to help keep track of the steps. The kids just loved this! I no longer use pebbles, but it can be a fun way to work with the steps when you are starting out, and some folks use them whenever they meditate this way. May this wonderful dharma instruction bring happiness and healing to your life, blessing yourself and all within the sphere of your thought and heart! Today we will learn a short poem together, young people and also less young people. We are going to use the pebbles to practice the poem also. It would be wonderful if you can memorize the short poem in order to practice. Many of you know it by heart already, but there may be a few of you who have not been introduced to the practice of this poem: “In, out. Deep, slow. Calm, ease. Smile, release. Present moment, wonderful moment.” I guess most of us can sing it already. Shall we sing? This is a wonderful poem, because every time you practice it you’ll feel much better within your body and your mind. When you are angry, when you are worried, when you suffer, if you know how to practice that poem then you will feel much better right away after one or two minutes. When you breathe in, you just breathe in, you do nothing else. Do you think you can do that? I am asking the adults also, do you think you can do that? Just embrace your in-breath with 100 percent of yourself—mind and body together. And when you breathe out, you embrace your out-breath. You identify your in-breath as your in-breath, because when I hold my baby I know this is my baby, not something else. So, “in, out” means, “breathing in I know this is my in-breath, breathing out, I know this is my out-breath.” It’s very simple, but it’s wonderful. I am sure that if you try it, after two or three in-breaths and out-breaths you will feel much better already. I can guarantee it because I have done it and I always feel wonderful. If you are about to cry, if you are about to kick or hit someone else because of your anger, and if you know how to go back to yourself and practice “in, out” for three times, I am sure that you’ll be different. You will not cry, you will not kick, you will not punch because you are a much better person after the practice of “in, out.” Today, try and you’ll see the power of the practice. Breathing in, I know that my in-breath has become deeper, and the deeper it is, the more pleasant it becomes. 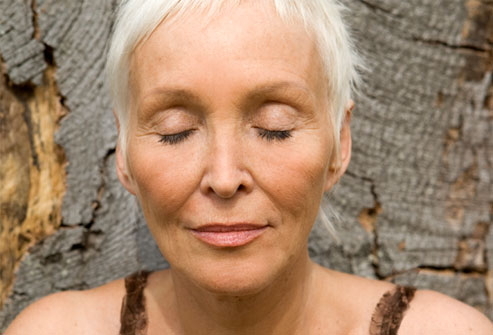 Try to practice breathing in for a few times and you’ll see that it is deeper. And when it is deeper, you’ll feel a lot of pleasure. When you breath out, you say, “Breathing out, I know my out-breath has become slower, slower, more peaceful.” If your breath is deeper, you are deeper. If your breath is slower, you are slower. It means you are more peaceful. So, breathing in, I know that my breath has become deeper. Breathing out, I know that my breathing has become slower. It’s wonderful. You might use your pebbles also. If you are practicing sitting meditation, you put the pebbles on your left, you bow to the pebbles, and you pick up a pebble with two fingers. One pebble. You look at it and you put it in the palm of your left hand and you begin to practice breathing in, breathing out. “In, out.” The practice is smooth. “In, out.” Once more. “In, out.” You’ll feel much better. Then, I use my two fingers to take the pebble up and I put it on my right side. I have practiced “In, out” already. Now, I’d like to practice, “Deep, slow.” So, I take another pebble. I look at it. I put it in my left hand and I begin to practice. “Deep, slow.” It has become deeper by itself, you don’t have to make it deeper. 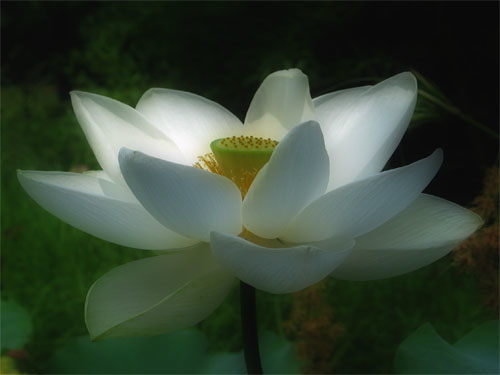 It has become deeper by itself alone because you have practiced already three times “In, out.” That is why your breath becomes deeper naturally, and slower. Let us practice together “Deep, slow” three times. “Deep, slow” [pause for three breaths]. Good, we have finished with “Deep, slow. We pick up the pebble and put it on our right side. This is an exercise given by the Buddha himself in a sutra called Anapanasati Sutra, The Sutra on Mindful Breathing. “Breathing in, I calm the mental formations in me. Breathing out, I let go.” I let go of my anger. I calm my anger, I calm my worries, I calm my jealousy. And I let go of my anger, I let go of my jealousy. I think that adults have to practice together with the children. Every time the child is angry then her mother or her father should take her hand and invite her to practice. “Calm, ease.” “Let us, together, practice calming and easing. ‘Breathing in, I calm myself. 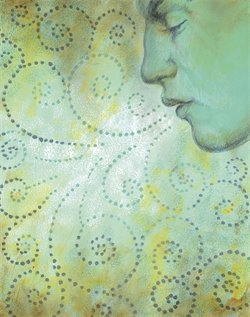 Breathing out, I let go’” at least three times and you will feel much better. You can begin right away with “Calm, ease” or you might begin in a classical way with “In, out” first and then “Deep, slow” and then “Calm, ease.” Either way is good. 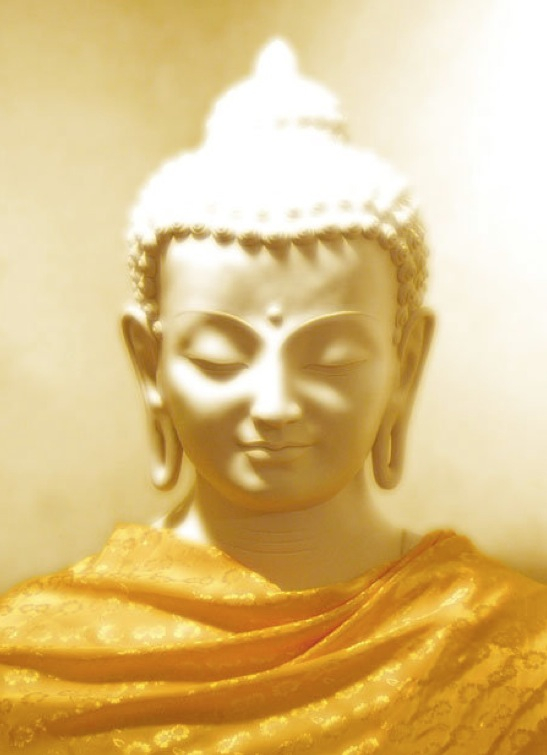 The Buddha dharma is wonderful. The moment you take the dharma up and practice you begin to feel better right away. And as you continue the practice, your quality of being always continues to improve. 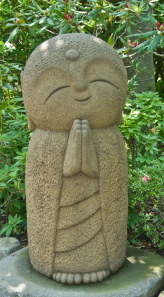 I always say that a smile can be a practice, a kind of yoga practice. Yoga of the mouth: you just smile even if you don’t feel joy and you’ll see after you smile that you’ll feel differently. Sometimes the mind takes the initiative and sometimes you have to allow the body to take the initiative. Sometimes the spirit leads, and sometimes the body can lead. This is why when you have joy, you naturally smile. But sometimes you can allow the smile to go first. You try to smile and suddenly you feel that you don’t suffer that much any more. So don’t discriminate against the body. The body also can be a leader, not only the spirit. I propose that you try this when you wake up during the night. It’s totally dark. Breath in and smile, and you’ll see. Smile to life. You are alive, you smile. This is not a diplomatic smile, because no one sees you smiling. Yet the smile is a smile of enlightenment, of joy—the joy you feel of being alive. Thank you for this! I think my students will enjoy also.